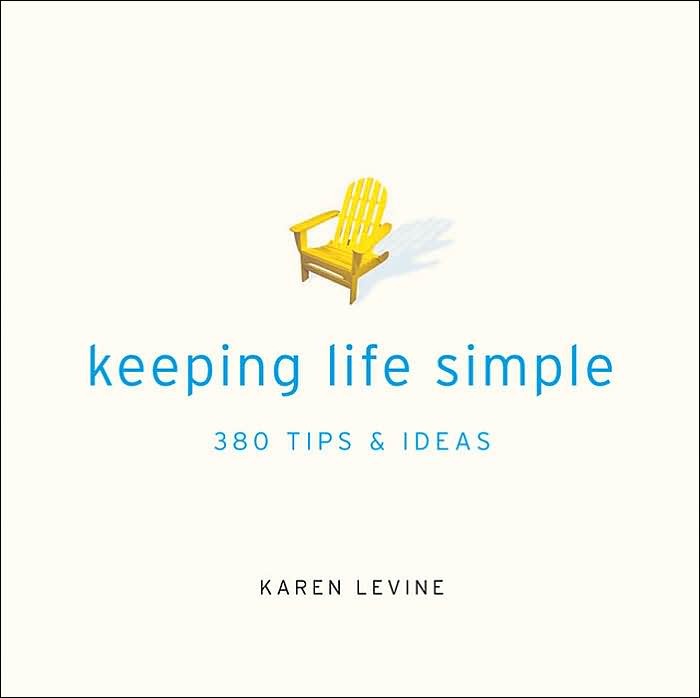 Okay, I admit, I am a sucker for books about simplifying life. I read almost all I come across as I am on a journey of self-discovery – simplified. 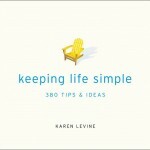 Recently, I saw this tiny (I mean really small) book at Borders called, Keeping Life Simple : 380 Tips & Ideas. Karen Levine’s little book of tips wasn’t a disappointment for $8.95 and I found a few gems in the book. Here’s a few that jumped out at me. Not because I never have thought about things like this before, but because it’s been long enough that I needed the reminder! Nothing Earth-shattering, but thoughts that are nice to keep in mind. Take time to figure out what you find most satisfying. There is a value in a long-range perspective on life, but there is also a value in in being able to live in the moment. There are no bonus points in life for suffering through what other people say you should enjoy. Learn to be flexible. Rigidity is the hobgoblin of an unsatisfying life. If you live in an area that experiences real Winters, buy yourself a set of flannel sheets. You’ll begin thinking about bedtime around 4:00 in the afternoon. Try not to sit for more than 30 minutes at a time without taking a break – get up and stretch. Keep a pair of cheap lawn chairs in the trunk of your car. You never know when you’ll pass a beautiful meadow – or anything that beckons you to come and sit for awhile. Every once and a while, turn the TV off for an entire week. Photocopy the contents of your wallet and store it in a safe place. Save lots of trouble later.